Year-round pool, 1.5 meters-deep with temperature regulation is a real trademark of VODA club resort. After warming up in sauna or steam room it is more than pleasant to dive into a warm pool, temperature of which is 32-36 ºC. It has an underwater current, hydro-massage beds and geysers, which will help you to reduce stress and set mind at rest. Indoors, there is a pool bar in the middle of the pool, where it is comfortable to take a break in-between sauna sessions and moisturize after body steaming. It is proved, that during the stay in sauna, a great amount of water is lost through exhalation and sweat, that is why, herbal, sea buckthorn, ginger and guelder rose teas with honey will become a perfect complement to the treatments and will restore your body fluid balance. A whirlpool bath tub under an open sky is, without doubt, a real winter exotics. 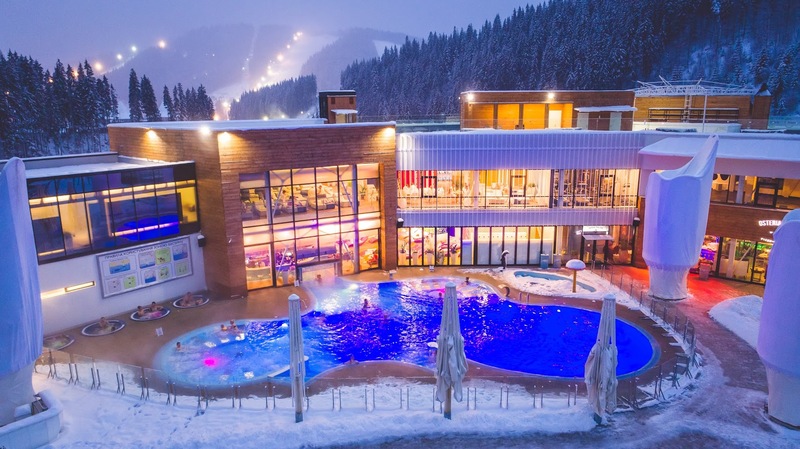 The water temperature is 36-38 °C, that allows you to have a great time outdoors, and to relax to the fullest after conquering Bukovel slopes. Moreover, Jacuzzi has therapeutic effect, it helps to reduce stress and muscle tension, it speeds up metabolism, activates host defense mechanisms and thereby improves body’s general health condition. During interior design engineering, architects and designers created a unique place, where everything was built with attention to the smallest details, enabling to discover new opportunities for leisure. With the aid of special apparatus, people with physical disabilities can easily get into a warm water of a year-round pool. In addition, if you want to get to a desired floor comfortably, we offer you a ride on a panoramic elevator. All shower rooms and toilets are equipped with separate booths for people with special needs. All the visitors of the complex are able to use a changing room on the second floor of the complex. 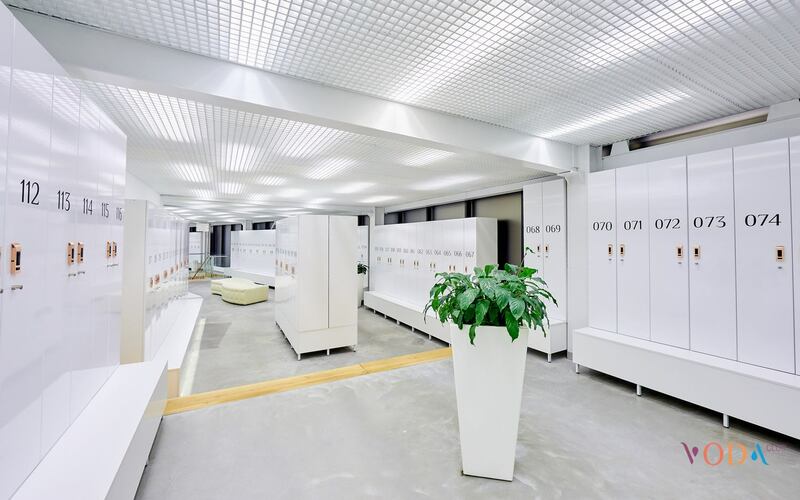 For your comfort, there are nearly 400 lockers for luggage storage. Every guest receives a unique magnetic key with a number, that is equal to the number of personal locker in changing room and luggage locker. 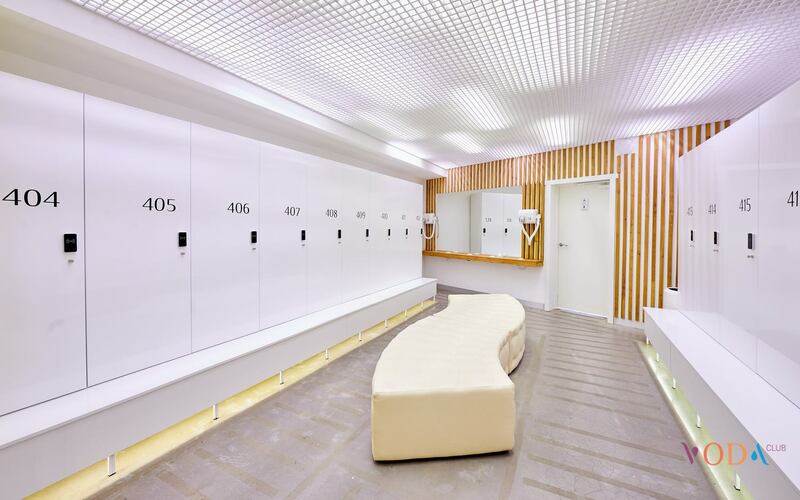 On the first floor of the complex there is a VIP changing-room, where you can rent personal locker (the price of the rent is additional). Due to the absence of video surveillance in changing rooms, the management shall not be held responsible for items, left in lockers. Please, be careful and check if the doors to the lockers in changing room are closed properly. We kindly ask you not to leave personal items in the pockets of the robes, because the management is not responsible for lost personal items or items, left unattended. We recommend you to use luggage lockers for small personal items. Swim suits, swimming trunks, waterproof diapers, caps for swimming and sauna, as well as different souvenirs can be purchased at the complex’s reception. Before a visit to a SPA and pool zones, the Guests are kindly requested to read out the Complex’s Rules.